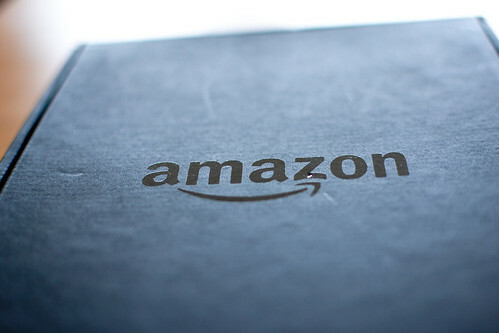 Last Christmas, my sister gave me an Amazon gift certificate with a lot of money. Finally, in March, I decided to use my Amazon money for a Kindle. 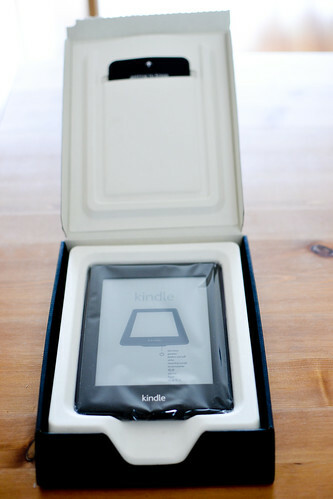 Being the old books lover that I am, I spent a lot of time debating whether or not to get the Kindle. I gave in to the dark side due to a lot of convincing words from other book lovers. Then it was a matter of which Kindle to get. That was also exhausting. 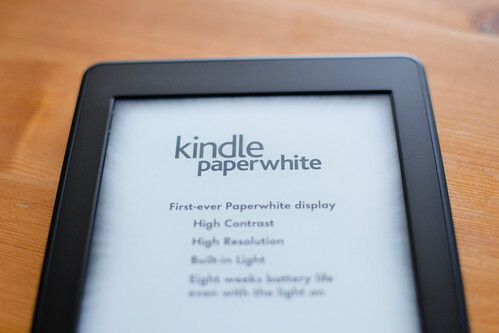 After receiving so many detailed and well-thought out recommendations from friends and the interweb, I decided to get the Kindle Paperwhite. I would like to thank Ruby, Joanie, Brendan, and Nur for their opinions and recommendations. I appreciate your precious time. So, what do I think about my purchase? I LOVE IT! It has a nice matte exterior finish like an eraser. The same texture as the Google Chromebook. It's very light. However, Brendan mentioned that his simple Kindle is a lot lighter than mine. The Kindle Paperwhite has a back light which is very helpful because I love to read in the dark. Please don't try this at home. I'm able to read nonstop from the afternoon, to dusk, to night without having to get up to turn on the light. This is not a good thing, I'm sure. Previous owners of the Kindle Touch complained that the touch was too sensitive and it reacting to clothing (sleeves mainly) touching the screen flipping pages. The new Paperwhite model corrected this problem and I have not encountered this issue. Some of the reviews complained that there isn't much hand room to hold onto the Kindle and their fingers get tired. 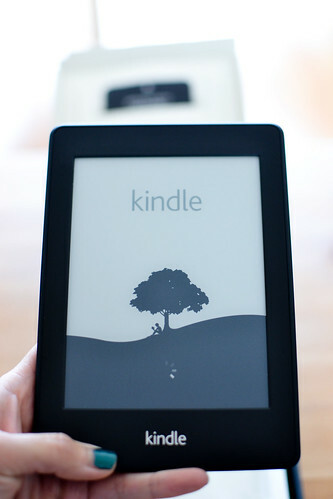 Well, sure, if you're dumb enough to hold the Kindle like it's shown in the picture. How about not hold it up with just two fingers? How about just letting it whole thing rest on your hand? It's small enough. 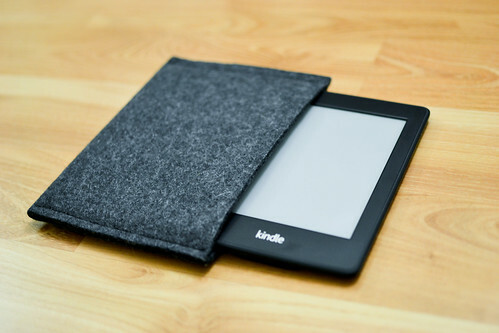 I sew a really quick and simple cover for my Kindle from 3mm thick felt. I didn't feel like adding embellishments or buttons (it was tight enough to hold it in place) or design because I was lazy. It helped keep my Kindle scratch free in my purse. Overall, I'm really happy with this purchase and have been buying a lot of ebooks already. Thank you everyone for contributing to this purchase!